Journey along the Danube through four European countries and see first-hand why this fabled river has inspired generations of artists, poets and musicians. Explore the vibrant streets of Budapest and Bratislava and the elegant avenues of Vienna, known to music lovers as the birthplace of the waltz. Cruise through the scenic Wachau Valley, home to picturesque vineyards, charming hamlets and a spectacular 900-year-old Baroque-style abbey. 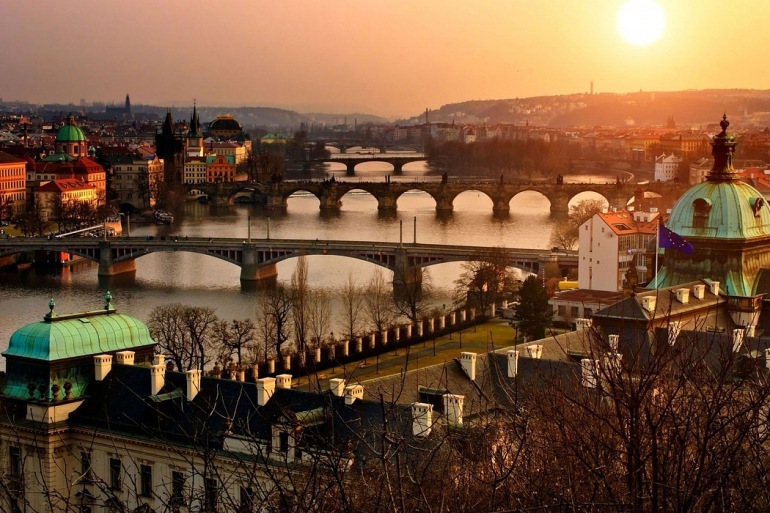 Conclude your adventure in Prague, also known as the “city of a hundred spires” and rich in history. Your morning excursion includes sightseeing in the cities of Buda and Pest spread over both banks of the river. You will see famed Heroes’ Square and Castle Hill, home to Fisherman’s Bastion, Matthias Church and spectacular views of the Danube. Wake up this morning in Bratislava, the capital of Slovakia. Enjoy a walking tour of the city’s top sights, including the Old Town Hall, Mirbach Palace and St. Martin’s Cathedral. Later, you will have some free time before the ship cruises to Vienna, the music capital of the world. After dinner, experience a traditional “Viennese Wine and Music” evening in a rustic wine tavern outside the city, where you can enjoy a glass of newly pressed, locally grown wine and Austrian music and hospitality. After reaching the Wachau Valley early this morning, you will have three tour options: A walking tour along Dürnstein’s cobblestone streets followed by a wine tasting, a hike up to the fortress where Richard the Lionheart was once held for ransom, or an Apricots and Sweets tasting. Return to the ship and continue onwards cruising through the gorgeous scenery of the Wachau Valley, a UNESCO World Heritage Site. This afternoon you will visit the spectacular Benedictine Abbey in Melk, one of Europe’s largest and most revered monasteries and a UNESCO World Heritage Site. You will see jewel-encrusted crosses containing religious relics, frescoes and richly embroidered vestments, as well as the abbey’s priceless collection of medieval manuscripts. Tonight the ship arrives in Grein, where you may enjoy some free time to explore this charming town. The ship arrives this morning in Linz. Enjoy a walking tour of the second largest city in Austria or choose a guided bike tour that will show you around the Old City Center, along the Danube River, and past the ultra-modern Ars Electronica Center. Later, you will have a choice of three different excursions. The first option is an excursion to Salzburg, Mozart’s birthplace, where you will take a walking tour of the historic center made famous by "The Sound of Music.” The second option is an excursion to the Czech town of Cesky Krumlov, a wonderfully preserved medieval town nestled in the hills just over the Austrian-Czech border. The third option is a visit to the Austrian Lake District, the scenic Salzkammergut region. All three options are UNESCO World Heritage Sites. Early this morning, cruise through Upper Austria to Passau in Germany, where the rivers Inn and Ilz join the Danube. Enjoy a walking tour of this 2,000-year-old city, noted for its Gothic and Italian Baroque architecture, cobblestone streets and squares like Rathaus, Domplatz and Residenzplatz, as well as St. Stephen’s Cathedral. Guests looking for a more active morning can choose between a guided bike tour along the Danube from Passau to Erlau, or a guided hike up to the Veste Oberhaus fortress overlooking Passau. This afternoon, the ship cruises to the medieval town of Vilshofen, where you will enjoy a festive Oktoberfest celebration with local beer and Bavarian folk music and dancing. This morning, disembark your ship in Vilshofen and depart for Prague. Stop in Regensburg, one of Germany’s best-preserved medieval cities, where you will have a walking tour and free time to explore the city’s historic district, a UNESCO World Heritage Site. Continue on to Prague, taking in the scenic beauty of the countryside before arriving at your hotel in the late afternoon. Your morning’s sightseeing tour reveals why Prague is considered one of Europe’s most attractive cities, with a historic city center that’s recognized as a UNESCO World Heritage Site. You will see Rudolfinum, the National Museum, Wenceslas Square and the Hundertwasser Dancing House. Next, visit the 1,000 year-old Prague Castle and St. Vitus before walking over the romantic Charles Bridge to the Old Market Square, where you will find the capital’s famous Astronomical Clock, Tyn Church and the statue of Jan Husek. The rest of the day is at your leisure, perhaps to enjoy yourself in one of the city’s many charming cafés. “Twin Balconies” are 235 and 210 sq. ft. and French Balcony Staterooms are 170 sq. ft.